Creativity. Unmatched talent. And an open dialogue. That’s what makes Valeria a unique place to enhance your beauty and embrace the idea of wellness. We are not just the best hair salon in the Charlotte region, we are a destination of change. 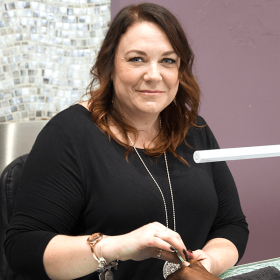 Whether you choose to experience any spa amenity, opt for our Med Spa services, or just simply get your nails done, Valeria does it all in a way you’ve never experienced. And that’s with a complete focus on listening to you, and then recommending what we feel best compliments you. We have the best talent Charlotte has to offer. From hair stylists to make-up artists to spa professionals, Valeria Salon can elevate the way you look and feel. Geri’s inspiration for fashion dates back to her childhood when her parents owned a cosmetic company. Surrounded by beauty and fashion, she dreamed to one day own her own salon. In 2003, her dream became a reality when she opened the doors to Valeria Salon, Spa & Boutique. 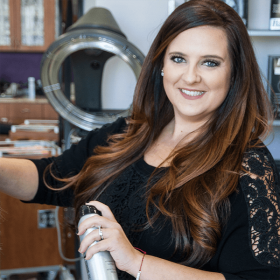 Using her inspiration and education, she and her three daughters, Jamie, Rachelle and Brandi have created a high-energy salon environment that employs over 30 staff members. Born to a hair stylist, Rachelle has been surrounded by the beauty industry since day one. She graduated from the Aveda Institute of Charlotte where she learned cutting-edge styles from global stylists from around the world. She opened Valeria Salon, Spa & Boutique with her mother, Geri, and sisters, Jamie and Brandi. With advanced training in Redken and Pureology, Rachelle enjoys bringing the latest trends and styles to her clients. She excels in finding the perfect haircut to match your face shape and the best hair color to compliment your skin tone. After Bonnie’s training at Augusta Technical College, she went on to complete an advanced training regimen on a cruise ship — that’s high expectations on the high seas! Yet this unique experience truly elevated her ability to provide an unparalleled level of customer service. 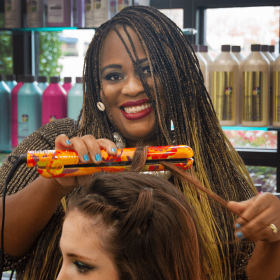 She also honed the skills inherent to her current specialties — upstyling, specialty blow-drys, and challenging curly hair. Interestingly, Bonnie is an ardent believer in the power of motivational speaking, and she’s been fortunate enough to have motivated and empowered many people over the years. Chad is originally from Ohio and moved to the Carolinas in 1998. He started his career with advanced training through Aveda. He continued his passion for education by joining the team at Redken 5th Avenue NYC in 2007 and 2010. His work has been featured in Charlotte Wedding Magazine. Chad specializes in texture services, special styles, precision cuts and color. Chad is an innovative stylist dedicated to the needs of each individual. He truly cares and nurtures every client. Chad enjoys outdoor activities, sporting events, and spending time with his children and family. Originally from St. Anns, Jamaica and a graduate from the Aveda Institute of Charlotte. Patricia joined the Valeria team in 2013. During the course of her career, she has trained with the top professionals in the hair industry. She enjoys coloring, cutting, formal styling, waxing (lip, chin and brows), makeup and a variety of treatments. Outside the salon, Patricia loves hanging with her family, hiking and giving back to the community. It’s her pleasure to provide you with the best service our salon has to offer. Great style and fashion sense run in Evelyn’s family, and early on Evelyn took the lead from her mom, who was also a skilled stylist. 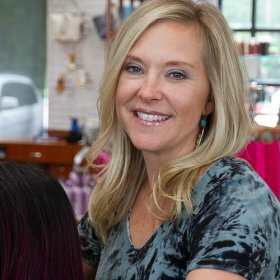 Originally from Columbia, SC, Evelyn has a true passion for helping clients feel and look their absolute best. 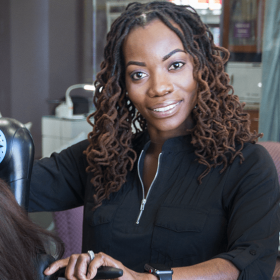 She’s a Certified Color Specialist with great expertise in working with textured hair. With over 10 years of experience, her clients agree that she’s done her mom proud! 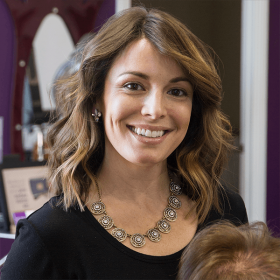 Jessica has almost 20 years of experience specializing in curly hair and dimensional color. Her extensive training in Europe and the United States is where she mastered advanced color, cut and up-do techniques. She enjoys working with multicultural clientele and her upbeat personality makes her a joy to work with. 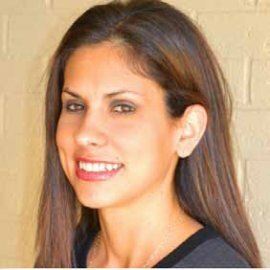 Ashleigh is originally from Orange County, NY, and brings over 4 years of experience to Valeria. She studied at the renowned Aveda Institute in Charlotte, which sparked her love of the coloring facet of the industry. 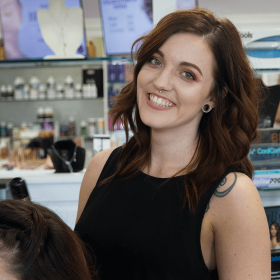 Ashleigh embraces the importance of educating clients regarding everything she does — from product knowledge to color approaches to style maintenance — as she feels it’s vital that clients are always completely informed. Ashleigh relishes an environment of creativity, and thrives in a setting that supports her originality and resourcefulness. Courtney is a color guru. She's not only dedicated to technically doing her job, but also to educating her clients along the way. She consistently explains in great detail how clients can maintain their color and style away from the salon. And, as colleagues and clients will tell you, Courtney is quite colorful herself. So if you hear the folks at Valeria sharing a good laugh, most likely Courtney was the source of the humor. Her entertaining personality keeps everyone's spirit up, and is much appreciated throughout the crazily busy days. Kelly is one of the artistic directors and one of Valeria’s original stylists from our opening in the fall of 2003. She has worked as a master stylist for 10+ years and has greater than 14+ years experience doing hair. 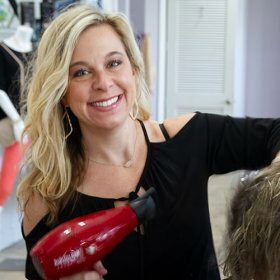 Prior to coming to Valeria, Kelly was an artistic director with Carmen Carmen Salon of Charlotte and a senior stylist at Capello’s Salon in Buffalo, NY, where she is originally from. She is a published stylist, with a feature in Goldwell’s glossy book as well as past local television appearances. 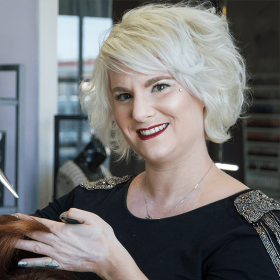 Formerly trained at the Marjong School of Beauty in Buffalo, NY, Kelly has received additional master training in New York City and internationally in London, England and Toronto, Canada. Kelly is a Huntersville resident and is married with two children. Sophie Hamberis inherited her passion for the beauty industry at an early age. Her dedication, commitment, and years of experience have led her to work on fashion shows, photoshoots, mentor her peers, and share her exceptional talents and expertise. 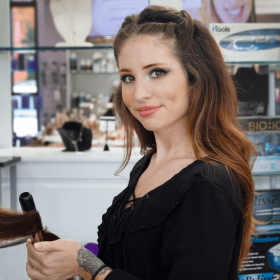 Sophie's desire to thrive in an environment worthy of her ambitions is what brought her to Charlotte, NC, where she joined the highly coveted hair styling team at Valeria Salon. Today, Sophie prides herself on her ability to work with each client's natural hair texture to craft looks they can easily recreate at home. With over 10 years as a certified medical esthetician, I have practiced every aspect of esthetics that fall under my license. It did not take me long to find that eyelash extensions are my passion. Though I have been a lash artist throughout my career as an esthetician, lashes have been my main focus for many years, through maintaining happy clients and training/mentoring others. 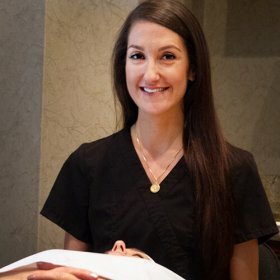 Although Erin is new to our team, she has been practicing massage therapy for close to 12 years. Originally from Maryland, she graduated from the Baltimore School of Massage which focused on Swedish, Deep Tissue, and an intense course on Myofascial Release. She really cares about her clients. 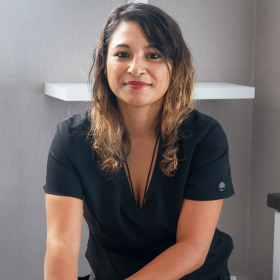 She enjoys catering to their needs and creating a unique massage experience for each of her clients that relax on her table. Also in her massage tool box are neuromuscular massage, medical massage, hot stone massage, reflexology and pregnancy massage. Make an appointment today. You knead it! 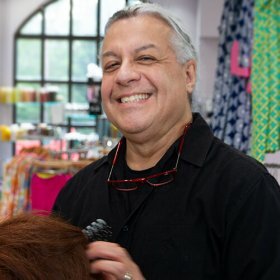 A seasoned hair stylist and graduate of the prestigious Robert Fiance School of Hair Design in New York City, Eddie spent several years perfecting his craft in New York. Upon moving to Miami, Florida, Eddie’s expertise drew a clientele comprised of a select group of Miami socialites. We consider ourselves lucky that Eddie moved to Charlotte and chose Valeria as his new home. 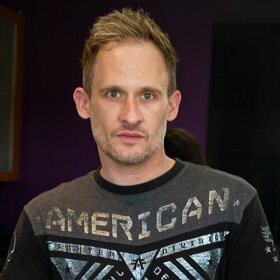 He has become known for his superior set and style technique and will help you determine your perfect style and color, based on your hair texture and complexion. From Keratin treatments to perms, Eddie does it all while successfully achieving the level of maintenance you desire to reflect your individuality from natural to dramatic looks. With many years in the industry, Eddie is a rare talent and an expert in the field. I have been in the healthcare field for 18 years. Since graduating from USC, Columbia in 2001 with an advanced practice degree, I have worked in primary care. Providing healthcare to all ages has given me great satisfaction and has been so rewarding. I have been providing beautifying injectables for the last five years. I enjoy helping people feel better about themselves while helping them feel more beautiful and confident. 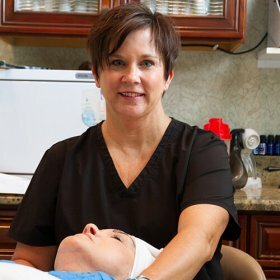 Lucy brings over 25 years of experience as an aesthetician, with a Para Medical Aesthetician certification. She focuses on solving skin issues, applying her know-how in an effort to help people raise their level of confidence and truly feel good. 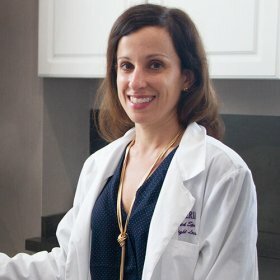 She’s a certified laser technician, with expertise in various types of medical peels. I have been a physician assistant for over 12 years after graduating from George Washington University in 2006. I have worked in cardiac surgery most of my career and enjoy helping people who are critically ill. I am also very passionate about overall wellness, especially fighting the ageing process. This has led me to pursue cosmetic injectables. Helping people feel more beautiful and youthful is extremely rewarding to me. 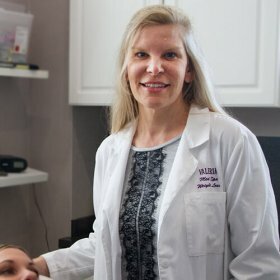 I joined Valeria Med Spa in the Fall of 2017 after moving to Charlotte from Atlanta. Thanks to her Dad, a talented barber, Mina cultivated her passion for this industry at a very young age. 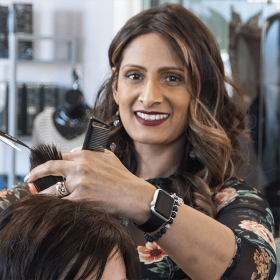 Originally from Vancouver, B.C., she maintains over 15 years of experience, and loves to create special styles – spanning everything from curly hair to men’s cuts to updos. The only thing she possibly loves as much as making clients look and feel good is being around cars that look good and feel good…to drive. Mina and her husband partake in car shows throughout the year, a pastime for which they have a great passion. Lindsey Watts is an Artistic Director here at Valeria and has been in the hair industry for 10 years. Before coming to Valeria, Lindsey was trained through an Aveda Salon and had advanced training with Aveda. She has been with the team to the Redken Exchange in NY, and exceeds in Redken Color and Hi-Lighting techniques. She is also certified in the Brazillian Keratin Straightening service. A master at making women look good and feel great, Lindsey takes extra time to make sure that the finished product of her color and cut is always at it’s best. Outside of work Lindsey enjoys spending time at the lake, riding dirtbikes, or any outside activities with her husband and son.